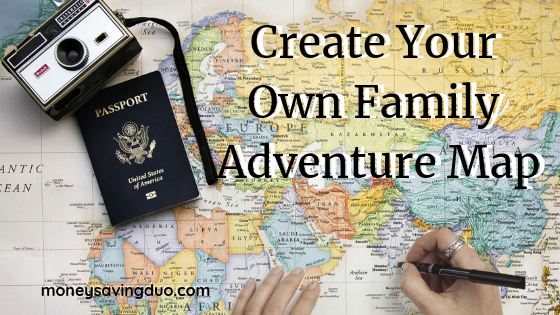 Whether you travel a lot or a little, near or far, creating a travel memory map can be a great way to celebrate your experiences together as a family. Make your own with just a few simple and inexpensive items. Aaron and I created our own travel memory map years ago when the boys were a bit younger and we both traveled a bit more for work. We thought it would be a fun way to show the boys where we were when we called to check in on those trips. Over the years, we also started tracking our family adventures on the map as well. 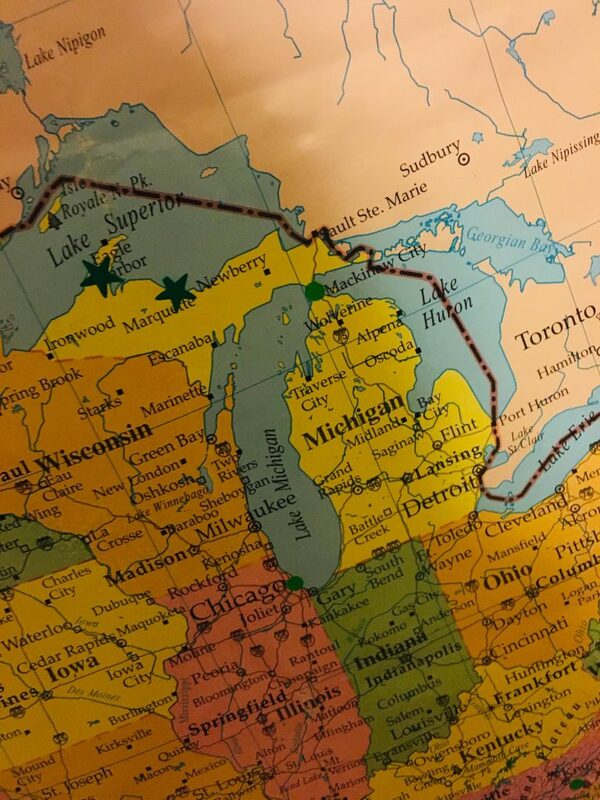 From trips to San Antonio, Texas to Grand Rapids, MI, we often reference the map to see not only where we’ve gone, but where we plan to go too. For example, Elijah really wants to add a star to one of the other countries on our map. We’re thinking Canada since its not that far away from where we live. Perhaps next year? A map. Find a country or world map online or in the office supply section of a nearby store. Or, if you’re looking to keep your adventures more local, you can get free state maps the next time you pass a visitor’s center on the highway. Stickers. We found small dot stickers at Walmart and used those for awhile, but then eventually switched over to shiny star stickers we found at the dollar store. A snapshot of some of the places we’ve traveled more locally. You can see both our dot stickers and our star stickers on display. Of course, you could probably get a lot more creative with your family map if you are so inclined. Possibly adding photos, coloring in travel routes or states you’ve crossed off your list, or even decoupaging colorful paper onto the places you’ve visited are all ways to add a little personal flair to your map. Amazon Find: Swimline Giant Pretzel Swim Fun Inflatable Floating Seat – only $10.20! His & Hers Mug Set – only $10! 3 Piece Cast Iron Skillet Set for only $14.99! Easter Basket Fillers Galore! And only $2.99 each!